<h2>Dark energy is the biggest mystery in cosmology, but it may not exist at all - leading physicist</h2><br /><p><strong>In the late 1990s, astronomers found evidence from supernovae that the universe has been expanding faster and faster as it gets older. Having no explanation for what was driving it, they dubbed this accelerating expansion ‘dark energy’. What did you think about these findings at the time?</strong></p> <p>‘I was sceptical from the beginning. I’m unusual in the cosmology community in that I’ve had experience working in experiments as well as theory, and I didn’t think the astronomers were taking full account of the systematic uncertainties in their data. But for a long time, the data were not made available for checking. That changed in 2014 when an international collaboration <a href="https://www.aanda.org/articles/aa/abs/2014/08/aa23413-14/aa23413-14.html" target="_blank" rel="noopener noreferrer">published a catalogue</a>&nbsp;of all the relevant supernovae – publicly, for the first time.’</p> <p><strong>How do supernovae tell us about the expansion of the universe?</strong></p> <p>‘Supernovae are the incredibly bright explosions that occur when big stars die. They come in different types. One type, Ia, are known commonly as "standard candles" because they emit roughly the same amount of light as one another. That means that if we measure how bright they appear to us here on Earth, we can work out how far away they are – closer ones appear brighter, and farther ones appear dimmer.</p> <p>‘But the key parameter here isn’t distance itself. The light from more distant supernovae has taken longer to reach us, which means that these distant ones are a record of what the universe was like a long time ago. If we also measure the red-shift of their light spectra, we can work out how fast all the supernovae are receding away from us, and therefore how fast the universe is – or was – expanding.’</p> <p><strong>And this is where the concept of dark energy came from - that the older, more distant supernovae are not receding as quickly as expected from observations of the younger, closer ones.</strong></p> <p>‘That’s what the astronomers Saul Perlmutter, Brian P Schmidt, Adam Riess and others concluded in the late 1990s. Various other measurements seemed to support their idea, too, leading to their being awarded the Nobel Prize in Physics in 2011. Today, most cosmologists believe about two-thirds of the universe is made of dark energy.’</p> <p><strong>Where do you believe they’ve gone wrong?</strong></p> <p>‘Just as not all trees are alike, not all supernovae are alike – even the so-called standard candles. In fact, their absolute brightness varies by about a factor of ten.</p> <p>‘In 2015, following the publication of the supernovae data, my colleagues and I performed an independent analysis using industry-standard statistical tools. We found that the evidence for cosmic acceleration had a statistical significance of only three standard deviations, or three sigma, away from zero.’</p> <p><strong>What does that mean?</strong></p> <p>‘The sigma of a result tells you how unlikely it is to be a fluke. For astronomers, a three-sigma result may be interesting, but for a particle physicist like me it’s not worth getting out of bed for. I’ve seen many three-sigma results come and go.</p> <p>‘Just two years ago, a much more significant four-sigma result at the Large Hadron Collider, the world’s most powerful particle-physics experiment, turned out to be nothing but a fluke. You should not get too excited until you have at least a five-sigma result – certainly when it concerns fundamental physics.’</p> <p> <div class="quote-view quotesBlock quote_horizontal"> <div class="quotesTop"><img src="https://horizon-magazine.eu/sites/all/themes/horizon/images/quotes_top.png" alt="" title="" /></div> <p>‘For astronomers, a three-sigma result may be interesting, but for a particle physicist like me it’s not worth getting out of bed for.’</p> <blockquote><p>Prof. 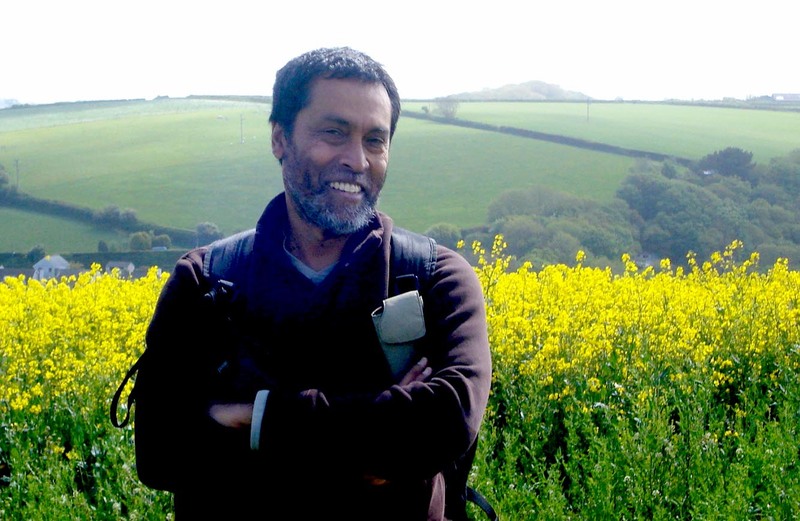 Subir Sarkar, University of Oxford, UK</p></blockquote> <div class="quotesBottom"><img src="https://horizon-magazine.eu/sites/all/themes/horizon/images/quotes_bottom.png" alt="" title="" /></div> </div> </p> <p><strong>So you’re saying evidence for dark energy might peter out too, in time?</strong></p> <p>‘Yes, but not just because of uncertainty in supernovae brightness. In our <a href="https://arxiv.org/abs/1808.04597">latest work</a>, published in August this year, we went one step further by accounting for the inhomogeneity of the universe – that is, the uneven distribution of matter. Because of this, expansion is not quite the same in all directions. In fact, the Milky Way is being pulled in a particular direction at over 600 kilometres per second. What’s more, this flow peculiar to our local region of space extends surprisingly far out, to about a billion light years. It turns out that most of the supernovae studied so far are within this unusual region – the net result being that the evidence for dark energy, previously three sigma, drops even further to two sigma. Even an astronomer would baulk at saying two sigma is significant.’</p> <p><strong>Does all this rule out dark energy?</strong></p> <p>‘It’s a bit like being in a car, and recording other cars accelerating away from you. Well, maybe they’re not accelerating – maybe you’re decelerating. The point is, we’re not ideal observers. We are moving relative to other objects in the universe, and that biases our measurements.’</p> <p><img class="@alignleft@" title="The standard model of a universe expanding at an accelerated rate is based on a result that could turn out to be a fluke, according to Prof. Subir Sarkar. Image credit - NASA/WMAP Science Team" src="https://horizon-media.s3-eu-west-1.amazonaws.com/s3fs-public/IMCEUpload/2048px-CMB_Timeline300_no_WMAP.jpg" alt="The standard model of a universe expanding at an accelerated rate is based on a result that could turn out to be a fluke, according to Prof. Subir Sarkar. Image credit - NASA/WMAP Science Team" width="1800" height="1188" /></p> <p><strong>Your view that evidence for dark energy is on shaky ground is very much a minority one within cosmology. Why have you persuaded so few of your colleagues?</strong></p> <p>‘I believe a lot of cosmological results that support the consensus view came about only because the authors knew beforehand which lamppost to look under. In other words, they may be suffering from confirmation bias.</p> <p>‘It would be much better if analysis were done blind, so that all of the data goes into a black box, out pops an answer, and if it doesn’t agree with the consensus view, so be it.’</p> <p><strong>Is there any chance of this happening?</strong></p> <p>‘I’m hopeful, because some of the next generation of experiments will be done by a new generation (of scientists). For example, several of the key people behind the <a href="https://www.lsst.org/" target="_blank" rel="noopener noreferrer">Large Synoptic Survey Telescope</a> under construction in Chile are particle physicists. I’m not saying they are better physicists, but I do believe they have more experience of working with full scrutiny and transparency in large collaborations, and have tried-and-tested ways of avoiding biased results. Also&nbsp;ESO’s (European Southern Observatory) Extremely Large Telescope will do real-time cosmology by measuring over several years the tiny change of red-shifts with time – thus directly testing if the expansion rate is accelerating.’</p> <p><strong>If you are right, and dark energy doesn’t exist, how long will it take cosmologists as a whole to change tack?</strong></p> <p>‘The trouble is that people think our standard model of cosmology is simple and it fits the data. The Ancient Greeks thought the same about Aristotle’s model of the universe, in which the sun and the planets revolve around the Earth. But we need to be open to different possibilities. Let’s just hope that it doesn’t take as long to replace our standard model as it did Aristotle’s – 2,000 years.’</p> <p><em><strong>This interview has been edited for length and clarity.</strong></em></p> <p><em>Prof. Sarkar’s <a href="https://cordis.europa.eu/project/rcn/82448_en.html" target="_blank" rel="noopener noreferrer">Universenet </a>project, which concluded in 2010, received EU funding. If you liked this interview, please consider sharing it on social media.</em></p> <p><a href="http://bit.ly/newsalertsignup" target="_blank" rel="noopener noreferrer"><img src="https://horizon-media.s3-eu-west-1.amazonaws.com/s3fs-public/IMCEUpload/news-alert-final.jpg" alt="" width="983" height="222" /></a></p> <br /> <img src=”http://www.google-analytics.com/collect?v=1&tid=UA-40077089-1&cid=dark-energy-is-the-biggest-mystery-in-cosmology-but-it-may-not-exist-at-all---leading-physicist&t=event&ec=republish&ea=read&el=dark-energy-is-the-biggest-mystery-in-cosmology-but-it-may-not-exist-at-all---leading-physicist&cs=republish&cm=republish&cn=republish&cm1=1" /> This post <a href="https://horizon-magazine.eu/article/dark-energy-biggest-mystery-cosmology-it-may-not-exist-all-leading-physicist.html">Dark energy is the biggest mystery in cosmology, but it may not exist at all - leading physicist</a> was originally published on <a href="https://horizon-magazine.eu/">Horizon: the EU Research &amp; Innovation magazine | European Commission</a>. In the late 1990s, astronomers found evidence from supernovae that the universe has been expanding faster and faster as it gets older. Having no explanation for what was driving it, they dubbed this accelerating expansion ‘dark energy’. What did you think about these findings at the time? How do supernovae tell us about the expansion of the universe? ‘Supernovae are the incredibly bright explosions that occur when big stars die. They come in different types. One type, Ia, are known commonly as "standard candles" because they emit roughly the same amount of light as one another. That means that if we measure how bright they appear to us here on Earth, we can work out how far away they are – closer ones appear brighter, and farther ones appear dimmer. And this is where the concept of dark energy came from - that the older, more distant supernovae are not receding as quickly as expected from observations of the younger, closer ones. Where do you believe they’ve gone wrong? ‘Just as not all trees are alike, not all supernovae are alike – even the so-called standard candles. In fact, their absolute brightness varies by about a factor of ten. ‘The sigma of a result tells you how unlikely it is to be a fluke. For astronomers, a three-sigma result may be interesting, but for a particle physicist like me it’s not worth getting out of bed for. I’ve seen many three-sigma results come and go. So you’re saying evidence for dark energy might peter out too, in time? Does all this rule out dark energy? Your view that evidence for dark energy is on shaky ground is very much a minority one within cosmology. Why have you persuaded so few of your colleagues? ‘I believe a lot of cosmological results that support the consensus view came about only because the authors knew beforehand which lamppost to look under. In other words, they may be suffering from confirmation bias. 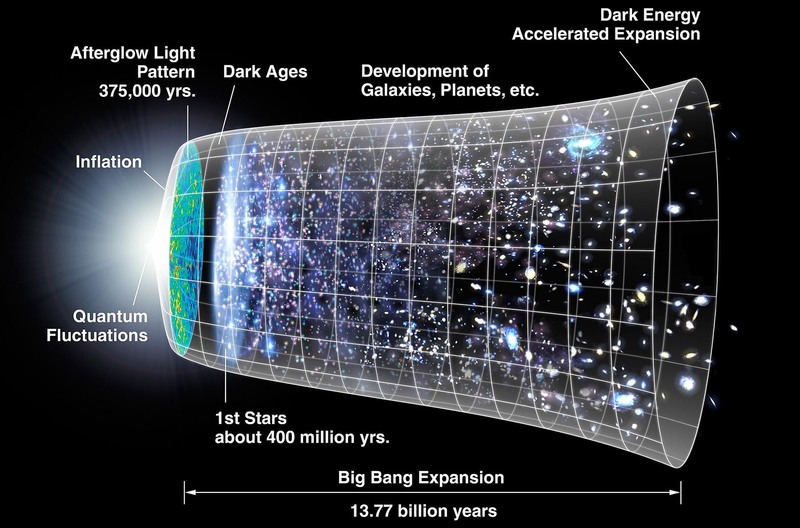 If you are right, and dark energy doesn’t exist, how long will it take cosmologists as a whole to change tack? Prof. Sarkar’s Universenet project, which concluded in 2010, received EU funding. If you liked this interview, please consider sharing it on social media.